Harry Potter and the Cursed Child Archives - Learn to speed read in 2 day course with the top Speed Reading experts in the UK. Speed Reading courses in London, UK. Speed Reading strategies to increase reading speed, comprehension and memory. In-house speed reading courses in the UK. Toby L’Estrange is the 10-year-old Spd Rdr in the newspapers who was asked by Amazon to read the new Harry Potter book on their new Kindle device. Toby was taught speed reading by his Grandma – Susan Norman – one of the authors of Spd Rdng: The Speed Reading Bible. 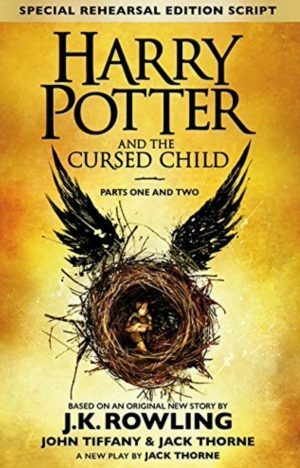 Toby will download ‘Harry Potter and the Cursed Child’ as soon as possible after midnight very first thing on Sunday 31 July (Harry Potter’s birthday!) and as soon as he’s read it will put up a review on Amazon. At 1000 words per minute it should take him about two hours.